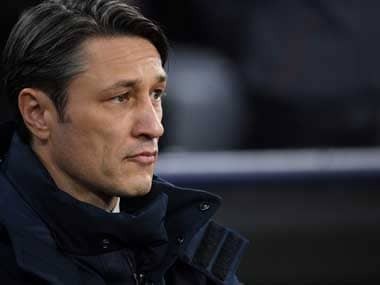 Munich: Bayern Munich goalkeeper Manuel Neuer will miss about two weeks with a muscle fibre tear in his calf and defender Mats Hummels is out for a few days with a thigh strain. 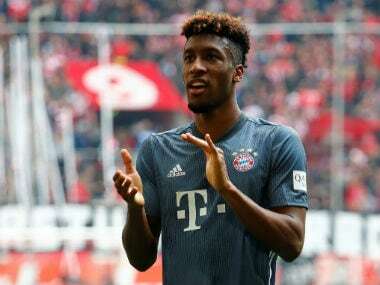 The Bundesliga club say doctor Hans-Wilhelm Mueller-Wohlfahrt diagnosed the injuries after the 4-1 win at Fortuna Duesseldorf on Sunday. 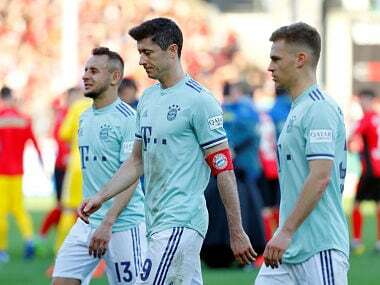 Neuer injured his calf with no other players involved and limped off in the 53rd minute. 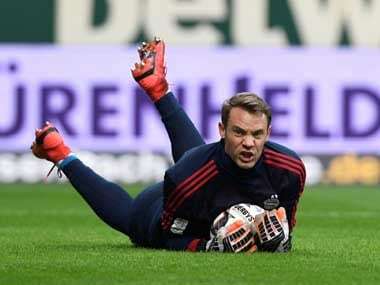 Neuer will miss Bayern's league and cup games against Werder Bremen and the league match at Nuremberg. Bayern, who lead Borussia Dortmund by one point, are also bidding to reach the German Cup final.